Arrived today, fitted in 45 minutes. 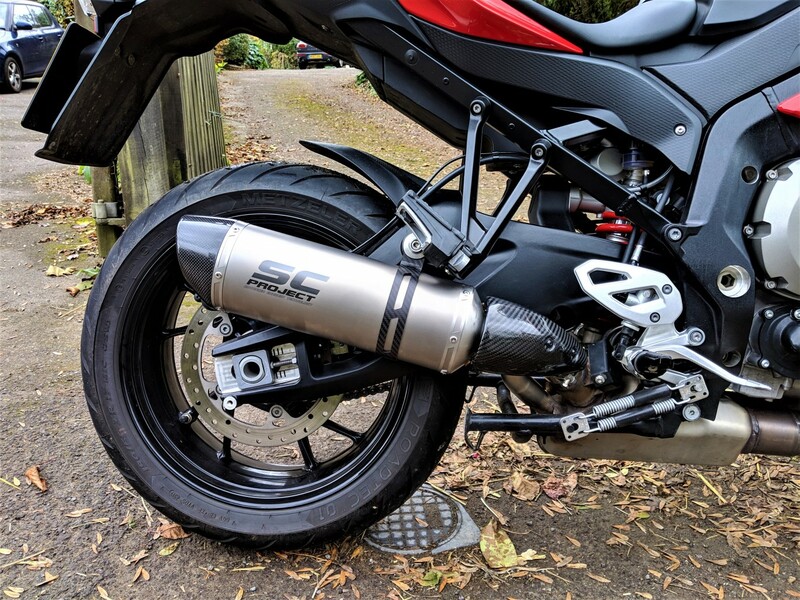 That's a good price for an Akrapovic.... or is it not the standard BMW accessory version? I like the compact size of the SC, but it's not too small. I looked at the Austin Racing cans, which are lovely, but tiny. 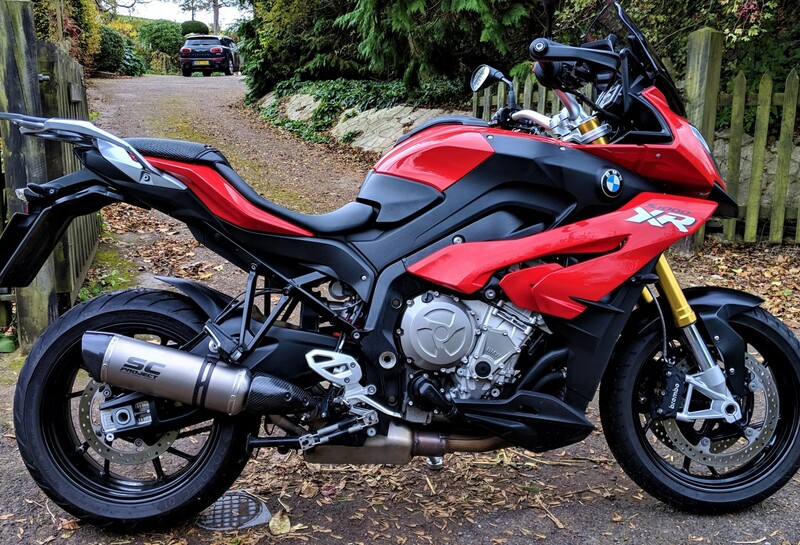 I saw one on a new Fireblade this afternoon and it was great on the dinky Honda, but wouldn't be right on the bigger XR. The SC was just over £430 and took about a month to arrive (built to order for the XR). Standard EU-3 version, new from my BMW dealers. Normal retail was around £1,000 I believe. It maybe sat on the shelf for 2yrs, and they got back what they shelled out? Well that was a good deal compared to the retail price. The SC does make it look a bit expensive though, and it's very well built. OK, I'll find out what the plans are for next weekend. I will say it's not much louder than standard but sounds nicer and weighs less. Obviously looks much better. Now you just need to get some headers to drop that 15 pound ugly CAT under the bike. I think that can looks great. I'll think about headers in the spring, maybe. Experimenting with HID lighting for winter, next, and panniers to buy. SHAD Panniers are good, only an L shaped bracket to mount hem on so don't spoil the lines too much I hear they make BMW'S ones ?